Office equipment plays an important role in keeping up with everyday business tasks. If your equipment is slowing down workflows or can’t keep up with business processes, we can help. We partner with industry-leading manufacturers to provide our clients with a wide selection of technology solutions—hardware, software, and services—at competitive prices with leasing options. But, as with all technology, it’s important to find the right fit. We take the time to understand your business and your budget before making any recommendations. We look forward to helping you select the perfect printer, copier, MFP, or wide-format device for your business. The right office equipment can improve workflow efficiency, simplify daily tasks, and save money! 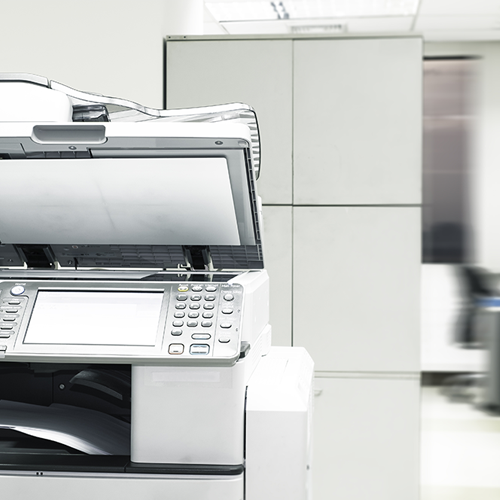 When it comes to printers and copiers, we know which devices and features will make your office more efficient. Today’s imaging technology can do much more than just produce beautiful documents and staple presentation packets. Modern printers have the capabilities to secure your documents and data, reduce printing costs, and boost your ROI. Networked devices also allow for streamlined workflows that save valuable time and improve efficiency. Whatever your needs are, we’re here to help match you with the perfect printer for your business. Contact us today to get started. A multifunction printer (MFP) is just that–a highly efficient, advanced-capability machine that can do it all. Think scanner, copier, printer, and fax machine all rolled into one sleek, high-performing package. MFPs are designed to become the epicenter of every office. As your office technology partner, DocuProducts offers an impressive selection of affordable and innovative MFPs to meet the growing document demands of your business. We understand that productivity, efficiency, and optimization are crucial to business success, and we take that into account to help you make informed and practical technology decisions. The systems we offer can be customized to meet your needs, but always serve as a centralized hub that will streamline your workflow and improve output. Contact us today for a free assessment, or to learn about flexible leasing options. Sometimes a project can’t be contained on an 8.5” x 11” piece of paper. That’s why we offer an impressive selection of wide format printers–to output solutions as big as your ideas! 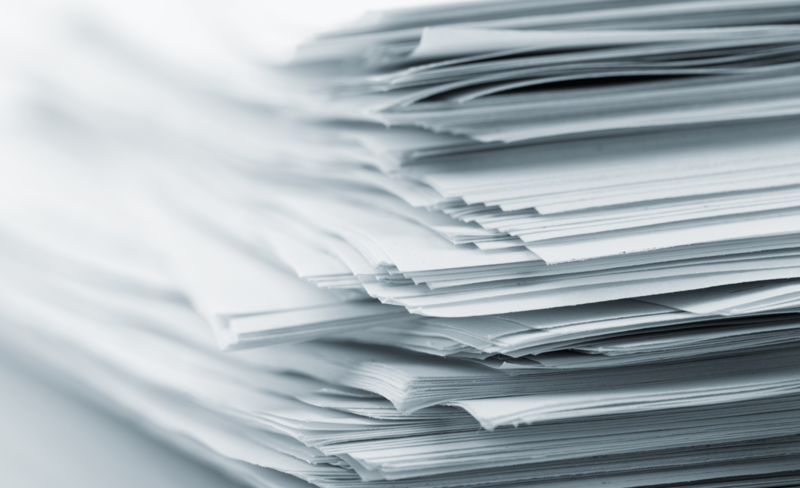 If your business requires a cost-effective way to regularly produce large-scale projects and oversized documents without leaving the office, it’s time to bring a wide format printer in-house. From corporate presentations and signage, to technical renderings and gallery-quality photography, we offer affordable, wide format printers that can take your business to the next level. High-volume print output calls for high-quality, high-tech equipment. If your printing needs are growing faster than your current devices can handle, it might be time for a production printing system to make your printing more efficient and less expensive. We also specialize in providing cutting-edge solutions without the complexity associated with some other devices. Our experts can right-size the perfect production printing system for you, and will train you and your staff how to use it with ease. Some printers are at risk for security breaches and data theft! Are your imaging devices vulnerable? Let us secure them.